How to see the entire Keyword Ranking and Landing Page History in AccuRanker. If you want to track the history of a specific keyword, go to the respective Domain and go to the Keywords list. To view the complete keyword history, simply click the keyword in the AccuRanker keywords list view. From here, you can view the entire ranking history and the given landings pages for those ranks. You can also click on your competitors to view their ranking history. 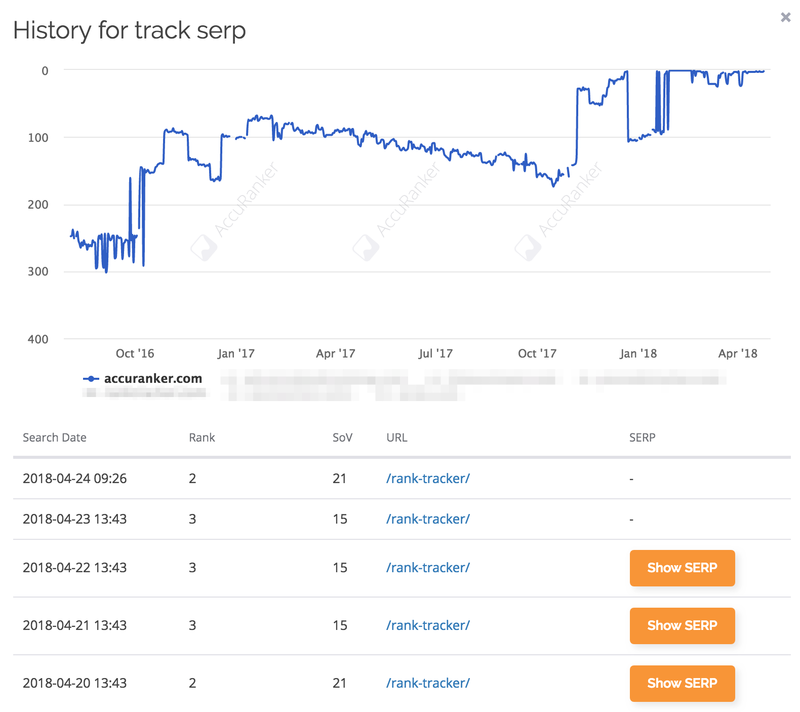 Customers with 1000 keywords and above subscriptions, will have the added benefit of having the SERP history as well as Share of Voice data in the keywords history page. Spotting SERP changes can help give context to changes happening outside organic rankings, such as Adwords, Snippets, Titles and Descriptions. Share of Voice data, helps identifying the keyword's significance over time as it also takes Search Volume changes into consideration. Want to learn more about Share of Voice? Click here.